Whether shooting for hunting or sport, cleaning and care of the gun is a part of the game, even if seen as a necessary evil. Cleaning and care should therefore demand as little time as possible. After all, one doesn’t shoot for the pleasure of the subsequent cleaning. The assumption that a gun barrel cleans itself with the famous “cleaning shot” is false, unless the gun is, indeed, only intended to shoot but not with great accuracy. For accuracy, the bore should be free from powder residues, metallic deposits and even corrosion. If the accuracy of a weapon – and thereby its value – is to be maintained, it must be cleaned and preserved regularly. With VFG WEAPON CARE, Vereinigte Filzfabriken AG has developed a unique and highly professional care and cleaning system for all kinds of air/ CO2 guns and firearms. In so doing we have always allowed ourselves to be guided by the basic rule that the cleaning tools and devices should not damage the gun in any way but must, nevertheless, be easy and comfortable to manipulate and extremely effective in use. From the point of view of quality, the products must meet the highest demands. 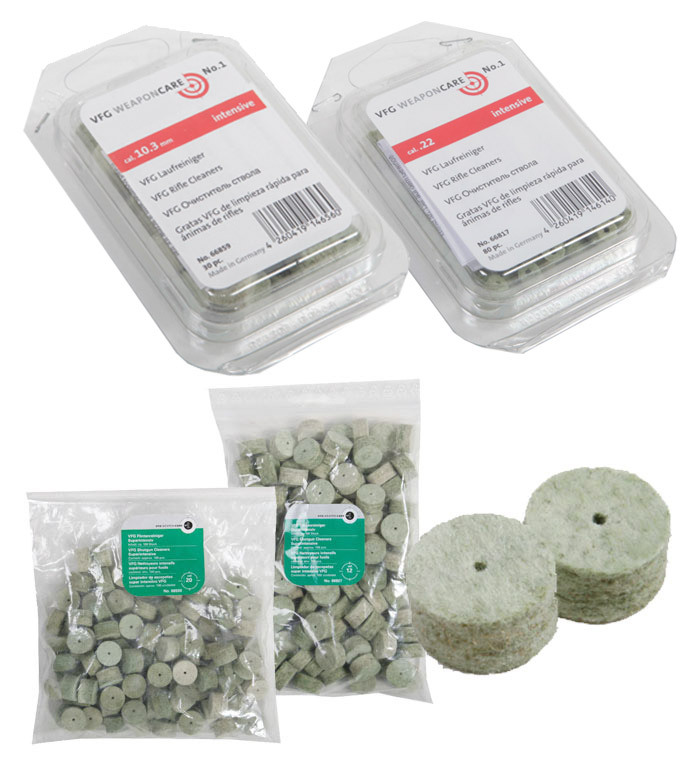 The VFG Adaptors allow you to use your existing cleaning rods with the VFG Cleaning Felt system. 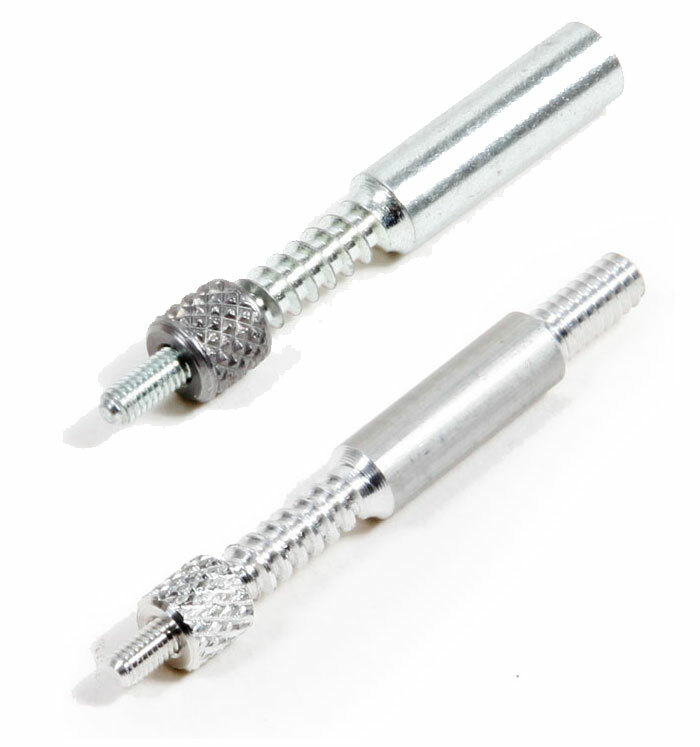 The available English Adaptors fit rods such as Parker Hale, and the US Adaptors fit the 2 different thread sizes 7-32 and 8-32. 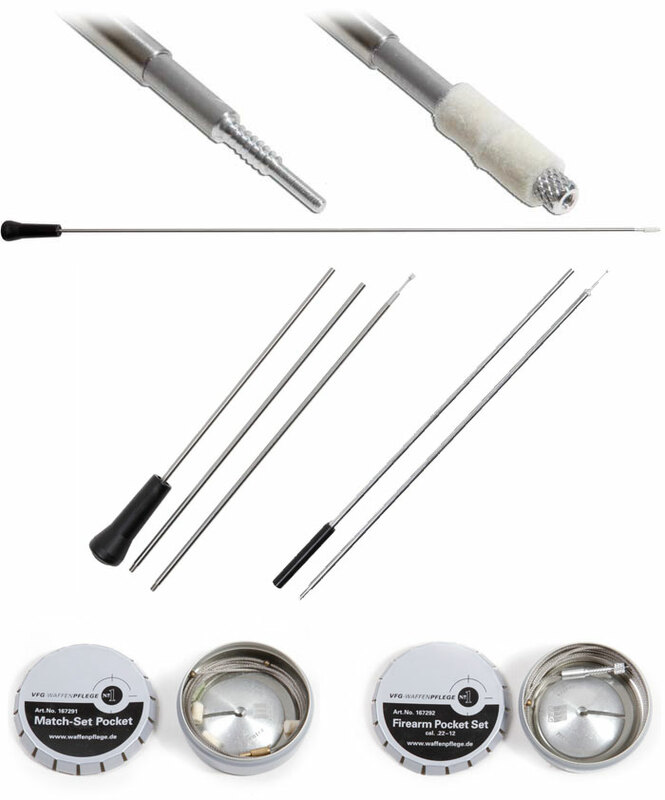 To find the correct adaptor for your existing rod please find the manufacturers website, as this will have your rod and thread size information. The VFG Accessories are to aid the cleaning process. 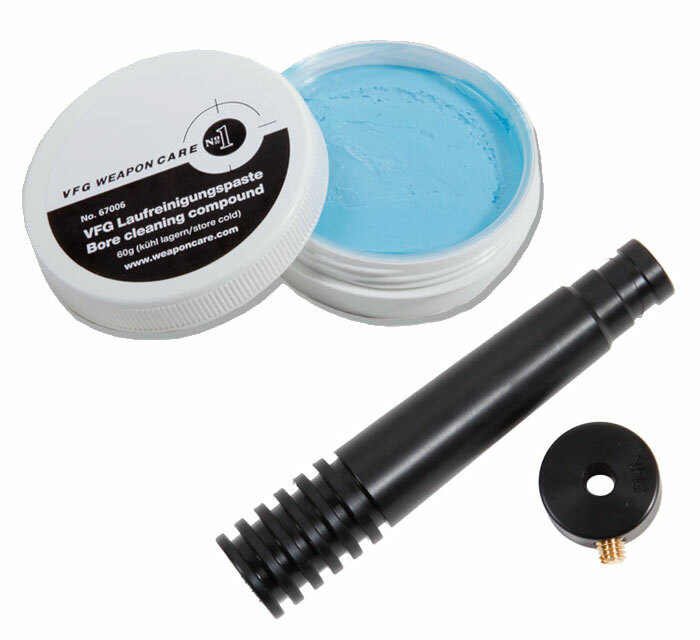 The Wipe Length Stopper is designed to stop the rod from protruding out of the muzzle end, giving you a more effective clean. 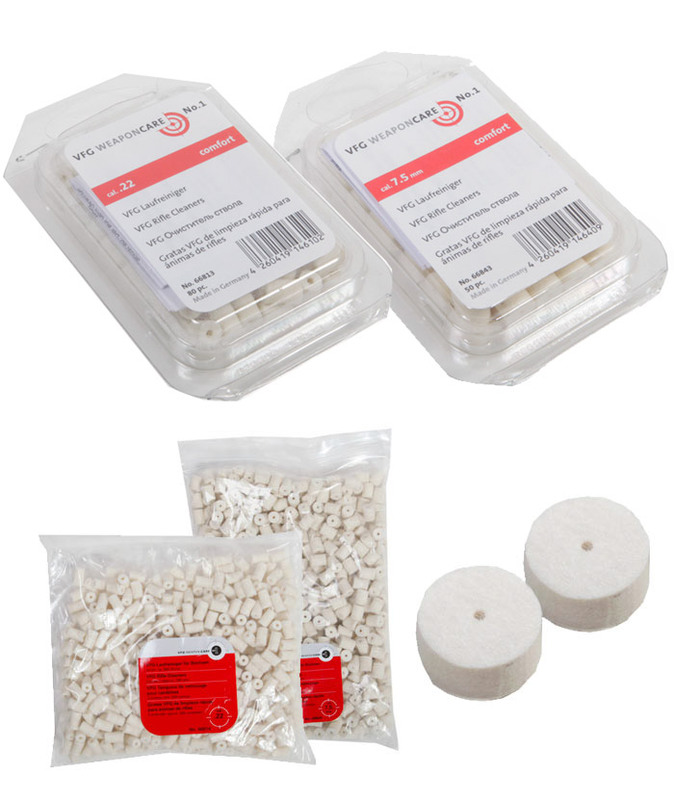 The Bore Vleaning compound is an effective cleaning substance which can be use with the VFG Cleaning felts. You can also see the VFG Brochure Catalogue. 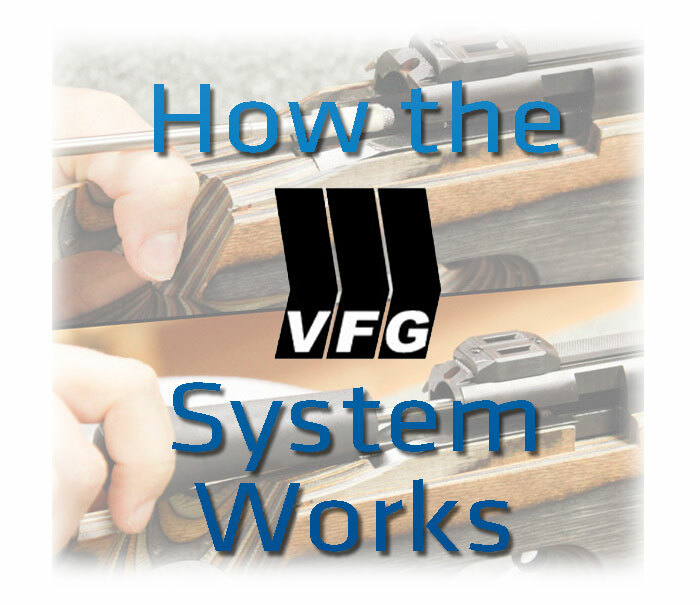 If you would like to find out which VFG Felt suits your calibre, you can see the VFG Suitable Calibres.